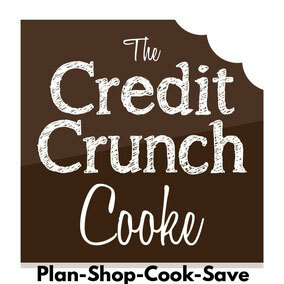 A Bit On The Side! 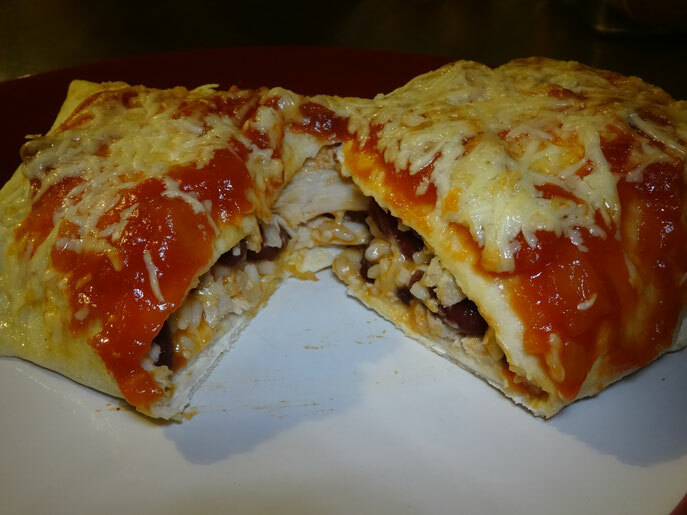 My Big Fat Italian Style Sandwich! 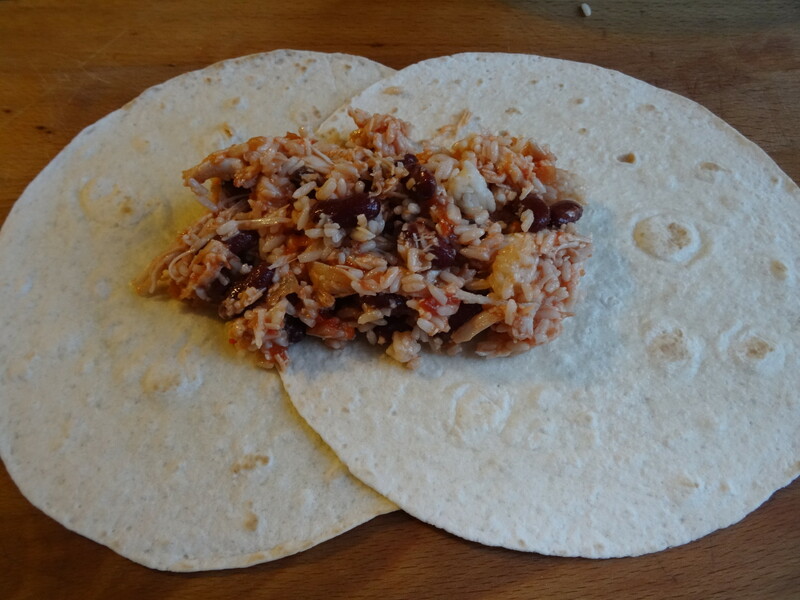 These burritos are not only delicious but really filling too! 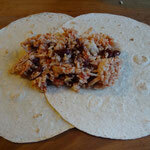 Mix up your leftover chicken with a few items you can keep in your storecupboard, they are quick, easy & budget friendly! 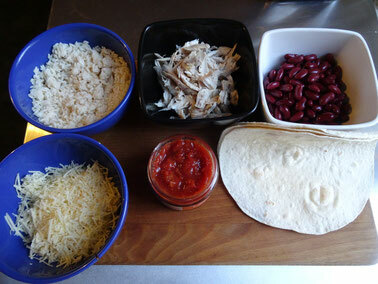 Place the chicken, 1/3 of the cheese, rice, kidney beans & ½ the salsa into a bowl & mix thoroughly. 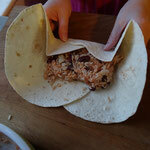 Lay out 2 tortillas so that they overlap. 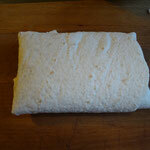 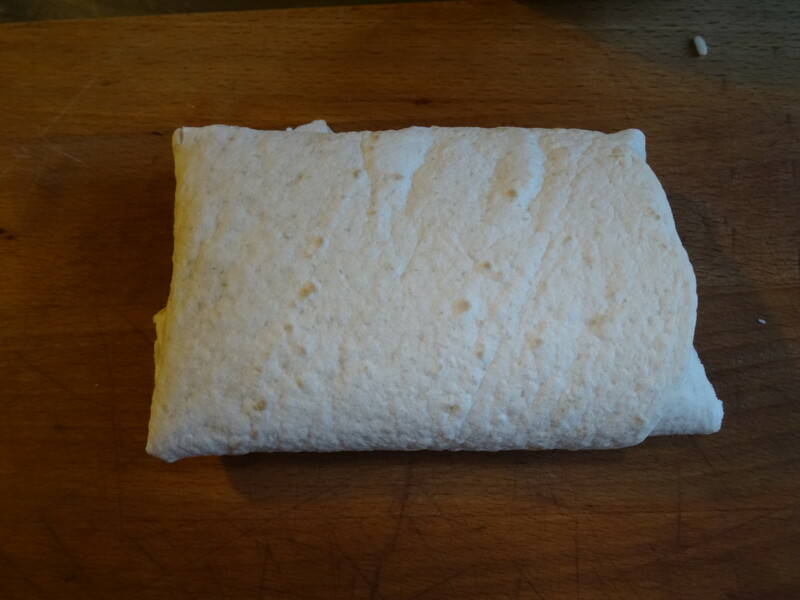 Put ¼ of the filling in the centre of the tortillas & fold up from the bottom, in on both sides then roll it over. 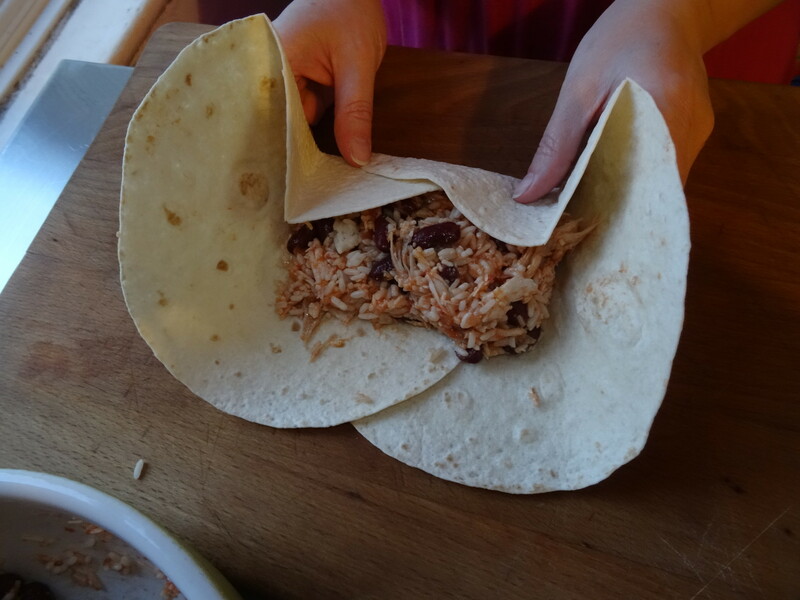 Place the burrito into an ovenproof dish & repeat 3 more times. 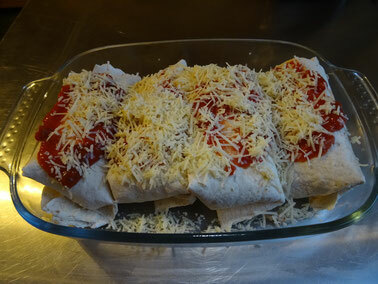 Spoon the rest of the salsa over the burritos then sprinkle with the remaining cheese. 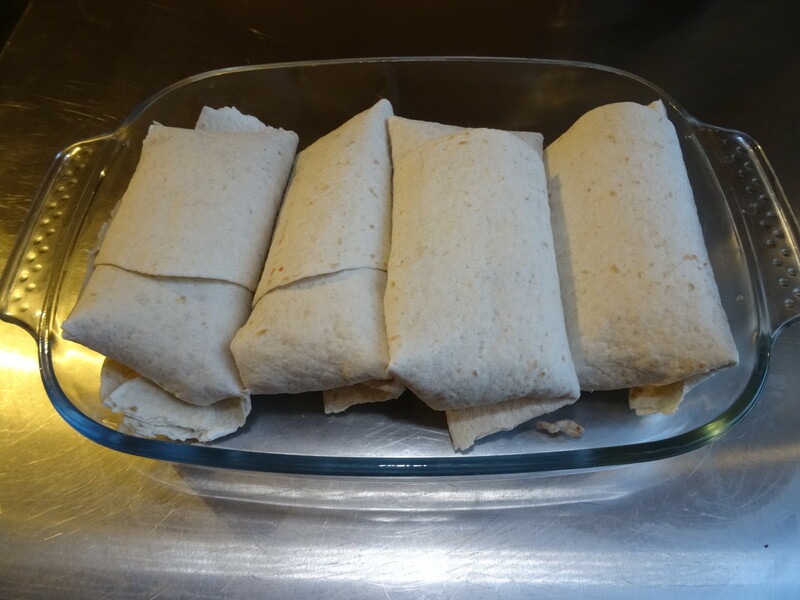 Cover the dish with foil & place in a pre-heated oven (200C/180Fan/Gas6) for 15 minutes. 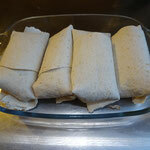 After 15 minutes remove the foil & cook for another 15 minutes. 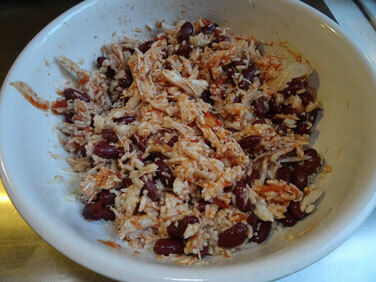 Serve with sour cream & more salsa if you like!